Who is Gary Barlow's wife, how many children does he have and how old is he? Since Take That's comeback over 10 years ago, Gary Barlow has become something of a national treasure in the world of pop. Here is all you need to know about the hugely successful singer-songwriter. 1. Who is Gary Barlow's wife? In 2000, Gary married Dawn Andrews, who was a dancer on Take That's 1995 'Nobody Else Tour'. 2. How many children does Gary Barlow have? Gary and Dawn have three children: Daniel (born 2000), Emily (born 2002), and Daisy (born 2009). In 2012, they were expecting a fourth child, but sadly their daughter, Poppy, was stillborn. He said at the time: "Dawn and I are devastated to announce that we've lost our baby. Our focus now is giving [Poppy] a beautiful funeral and loving our three children with all our hearts." 3. How old is Gary Barlow? Gary Barlow was born on January 20, 1971. He celebrated his 48th birthday in 2019. 4. 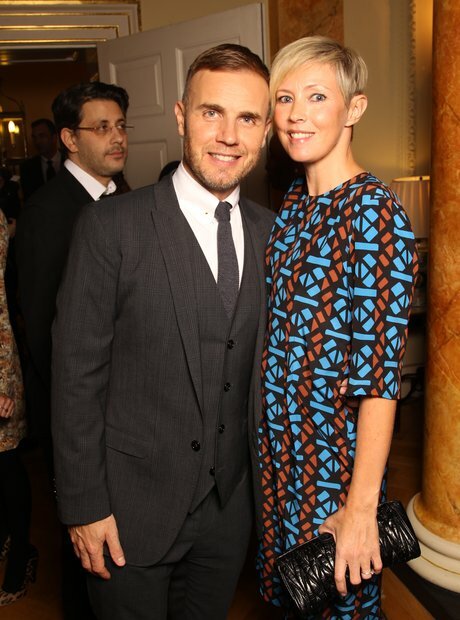 How tall is Gary Barlow? Gary Barlow is 5ft 7 ½ (171.5 cm). He once said that he'd "love to be taller". 5. Where is Gary Barlow from? Gary was born in Frodsham, Cheshire, the second son of Colin (who died in 2009) and Marjorie Barlow. His brother's name is Ian. 6. How did Gary Barlow get his first break? In 1986, when Gary was 15 years old, he entered a 'Pebble Mill at One' Christmas song competition with 'Let's Pray for Christmas'. After reaching the semi-finals, he was invited to London's West Heath Studios to record his song. This inspired him to perform on the northern club circuit, singing cover versions and his own songs. He was soon spotted by agent Nigel Martin-Smith, who wanted to use Gary as the frontman for a new boyband he was putting together. 7. What happened between Robbie Williams and Gary Barlow? They're all best mates again now, but there was more than a decade of bad blood between Robbie and his former bandmates. Ever since he quit the band in 1995 and scored a huge solo career, Robbie made it known whenever he could how much he couldn't stand his former colleague Gary Barlow. "I wanted to crush him. I wanted to crush the memory of the band - and I didn't let go," he said in 2010. However, by the end of the 2000s, they not only buried the hatchet but became very close friends. 8. What are Gary Barlow's most famous songs? Gary Barlow wrote many of Take That's best-known hits including 'A Million Love Songs' and 'Back for Good'. During his solo career, he has scored hits with 'Forever Love', 'Love Won't Wait' and 'Let Me Go' among others. 9. When did Gary Barlow meet the Queen? In 2012, Gary and Andrew Lloyd Webber worked together to write the official Diamond Jubilee single. They composed the music to the song, with Gary then taking this music to musicians and singers around the Commonwealth. The song entitled 'Sing' was a number one single that summer. He also helped to organise the Queen's Diamond Jubilee concert. 10. Who has Gary Barlow written songs for? After his disappointing second album, Gary remained out of the public eye for half a decade, choosing to continue to write and produce songs for other artists such as Shirley Bassey and Charlotte Church. He has since written songs for Matt Cardle, Robbie Williams, Westlife, Lily Allen, Blue, Elton John, Olly Murs, Will Young, Lawson, Donny Osmond, Delta Goodrem, Elaine Paige, Agnetha Fältskog and many more. 11. What theatre projects has Gary Barlow worked on? In 2014, a Broadway musical version of 'Finding Neverland' opened, with music written by Gary and Eliot Kennedy. In 2017, he co-wrote the musical version of 'Calendar Girls' with Tim Firth. He is also behind the the Take That-inspired musical 'The Band'. 12. What is Gary Barlow's net worth? Gary Barlow's net worth is estimated to be around £49.6 million ($67m). 13. Has Gary Barlow ever acted? In 2000, Gary made his acting debut in the ITV drama 'Heartbeat'. For the 150th edition of the show, Gary played hitch-hiker Micky Shannon. In 2012, he had a cameo in the film 'Keith Lemon: The Film', and in early 2013 he had a cameo in the sitcom 'Miranda'. He also had a brief cameo in 'Star Wars: The Last Jedi' as a member of The First Order.